When to start saving for an emergency fund? With changes in job market and personal life situations, having a emergency fund is critically important to manage finances during difficult times. 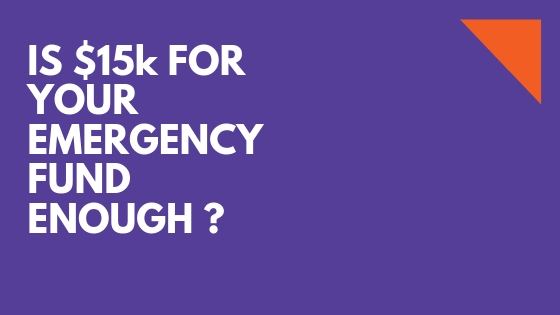 Emergency fund is something one should prioritize and build as soon as they start their career. The earlier one can build the cushion, the better as the ability to build a emergency find only gets harder as you get older as the responsibilities increase. Ideal time would be immediately out of college as you land your first job because at this time, many individuals have very few liabilities and responsibilities so it is relatively easier to save up for the emergency fund. Although, keep in mind, it is never too late to build a fund. If you have not already started to build an emergency fund, start today. Calculate your total monthly expenses including mortgage payment/ rent, utilities, car payment, food and insurance and multiple by 6 months. For example if you’re total monthly expenses are $3,000, build at least $18,000 in your emergency fund. It is important you carry at least 6 months of cushion that keeps you afloat in case of an emergency and gives you piece of mind if and when things do go in a direction where you have to tap into your emergency fund.